Geoengineering, or hacking Earth’s climate system to cool the planet, is a controversial field that promises to either save our collective asses or bring on the apocalypse. 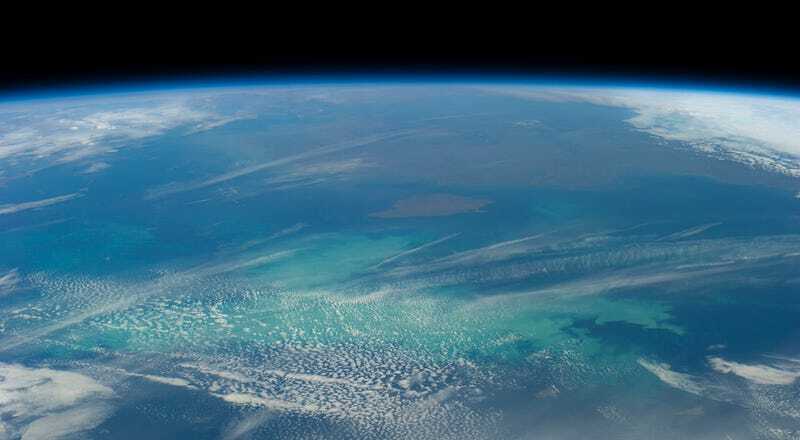 Now, scientists have discovered a major problem with one popular geoengineering scheme that entails dumping a bunch of iron into the ocean to soak up carbon dioxide. Basically, the plan is not supported by the geologic record. Proponents of “iron fertilization” say that spiking the Pacific Ocean with this critical nutrient will turbo-charge algae, prompting them to draw more carbon out of the atmosphere. This carbon will eventually sink into the deep ocean and become sequestered. While the concept has seen little practical success, and has created at least one international scandal, the dream of cooling our planet with fertilizer while cashing in on carbon credits never seems to die. But the Earth has already conducted this experiment many, many times. During ice ages, the amount of iron-laden dust settling onto the surface of the Pacific Ocean spikes. By examining the geologic record, scientists might be able to determine if this wacky idea actually works. That’s exactly what a team of researchers at Columbia University’s Lamont-Doherty Earth Observatory has done in the equatorial Pacific. In research published today in the Proceedings of the National Academies of Sciences, Gisela Winckler and her colleagues examined deep sea sediment cores from three locations across the Pacific that capture the last 500,000 years of geologic history, including several ice ages. The researchers measured the concentrations of barium and opal, which are respectively associated with organic carbon sequestration and the abundance of marine diatoms. They also measured thorium-232, an isotope that indicates the amount of iron-rich dust entering the water. Anderson noted that iron fertilization might play a more important role in the Southern Ocean—a vast biological desert encircling Antarctica. Here, algae enjoy less upwelling and experience stronger iron limitation. His team is currently probing Southern Ocean sediment cores to see if there’s any evidence for past iron fertilization episodes. Even if certain parts of the ocean are responsive to iron, Anderson said that deliberate fertilization could have dangerous side effects—like stripping the deep ocean of oxygen and suffocating everything that lives there. In general, tinkering with elemental cycles tends to have unanticipated outcomes that spell bad news for ecology. Just look at the dead zone in the Gulf of Mexico (fueled by too much nitrogen into the water), or any consequence of anthropogenic climate change (fueled by too much carbon in the air).